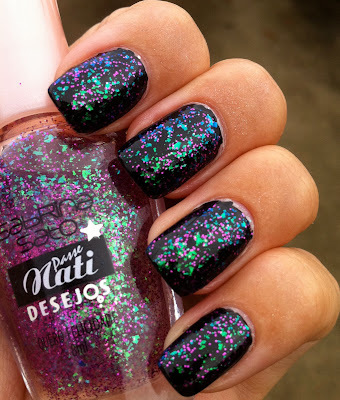 Wow this polish is so pretty and it photographed perfectly I am really excited to show you this color Quero Felicidade from The Passe Nati Sabrina Sato Collection is a gorgeous polish packed full of purple glitter and color shifting flakes that change from green to blue to purple the colors in this polish are similar to the colors of the glitter in Ozotic 528 it such a great combination and looks amazing with a gloss or matte finish. 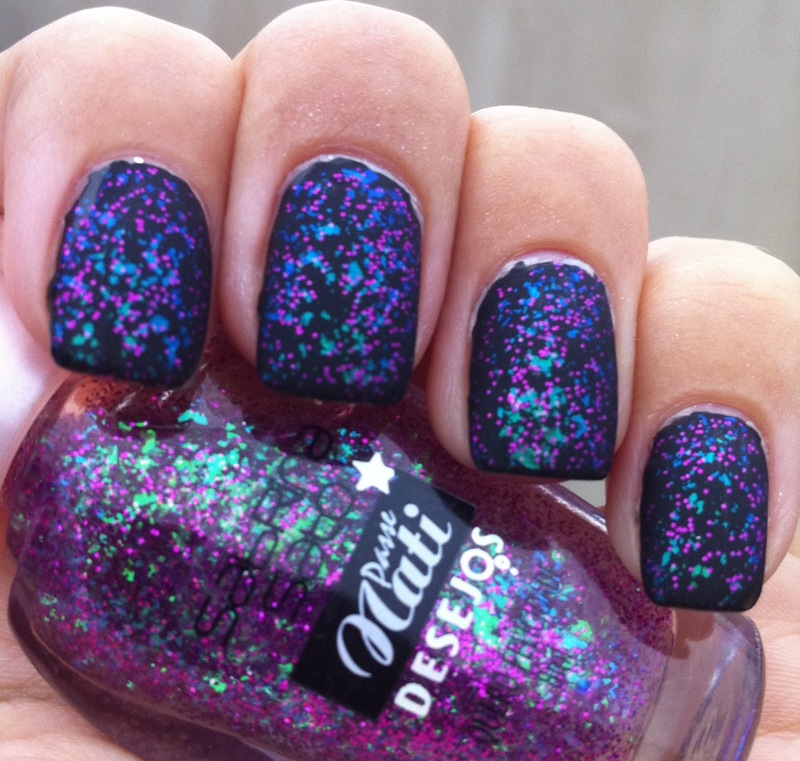 holy shiz, awesome combination i wish i could get my hands on it!! This flakie is just amazing, you know what his name means? 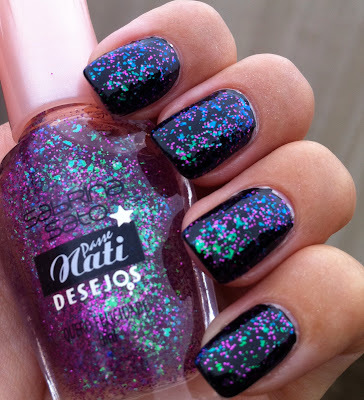 "I want happiness"
so where did you find this awesome color? Oh wow that is beautiful! I love all the different flakie/glitter colours! Wow! love it matte too! Also, just a quick question- I have a hard time finding out if brands like this (in all spanish) are 3 free. It seems there are a lot that are not. Sooo unique and soooo pretty, I must have it ! 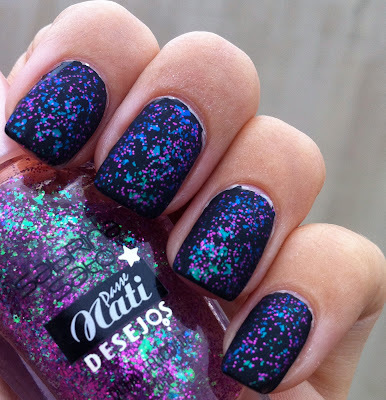 Gorgeous glitter! Love the colors in it. 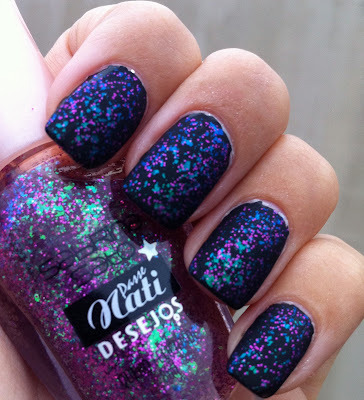 I love purple sparkly nail polish! 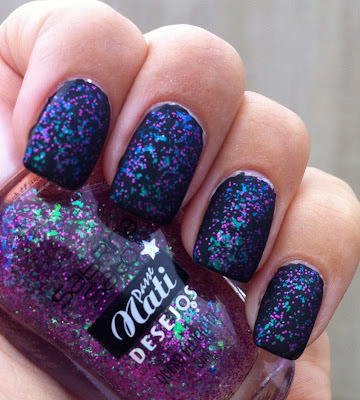 Wow, that looks really cool matte! 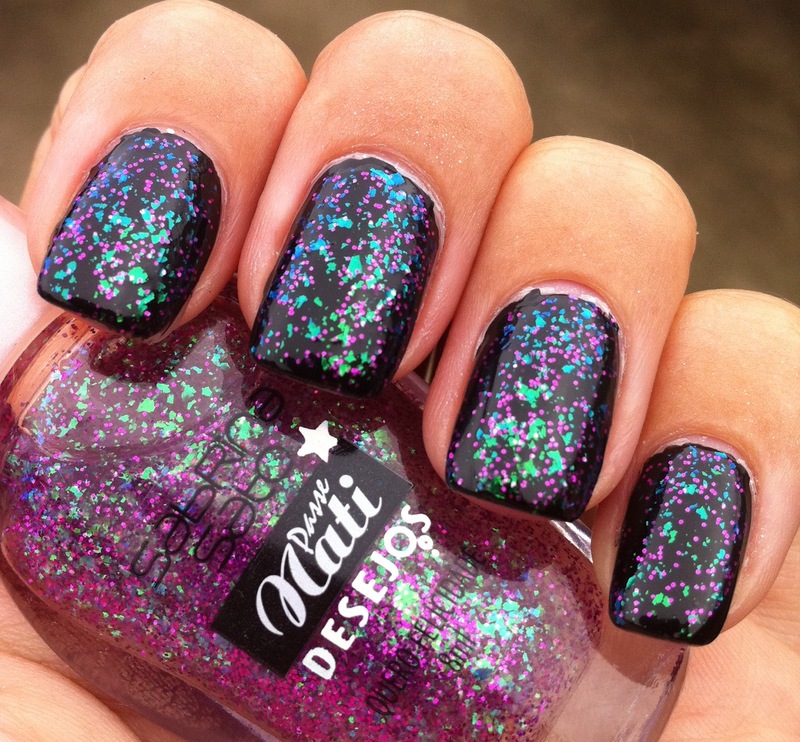 This is one gorgeous flakie!